Lenticular posters are those 3D/moving things you sometimes see on you local cineplex. As you can imagine it’s not very easy to tell exactly the effect one of those will have in real life from a picture on the internet. For example, I quite liked this poster when I first saw it, but I was muuuuuch more impressed when I saw the actual thing. 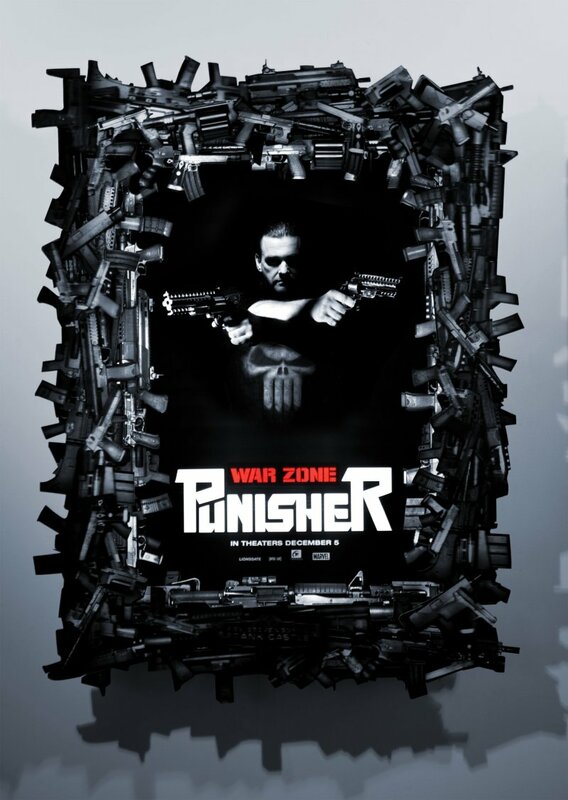 So, I’m imagining this lenticular Punisher poster will look quite cool. In the real thing the guns are mounted on the outside of the lightbox, which should make for an even more striking effect. But honestly, it’s hard to tell just how good (or bad) it is just from this image. So, if you spot the actual poster let me know what you thought of it. And if I see it I’ll update the post. I saw this in the real world today. Not as cool as I thought it would be when I read your post.